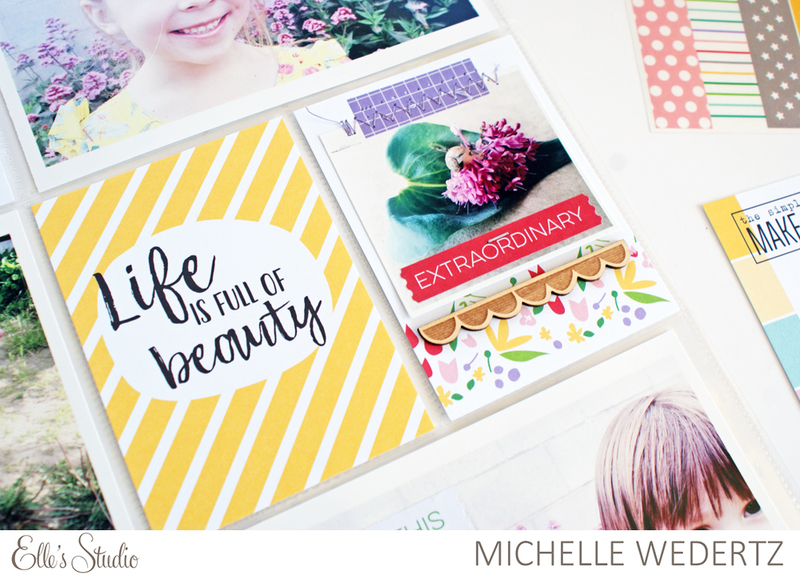 Each month when I open up my box of goodies I never know where I want to start because it is all just so great. 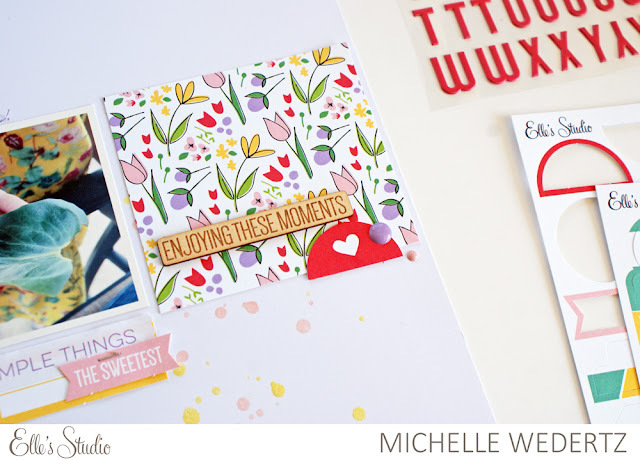 Not this time though. 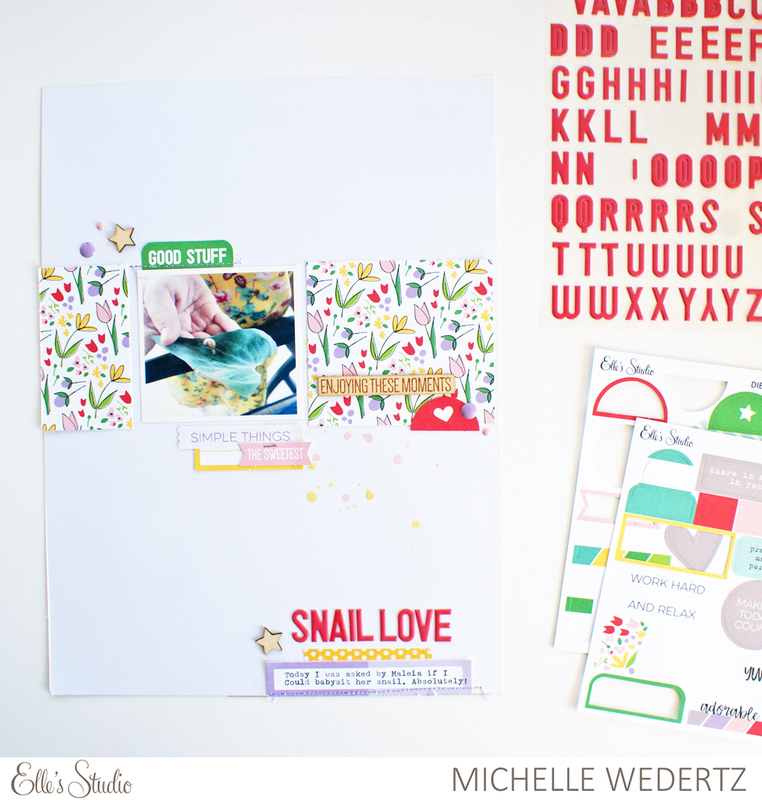 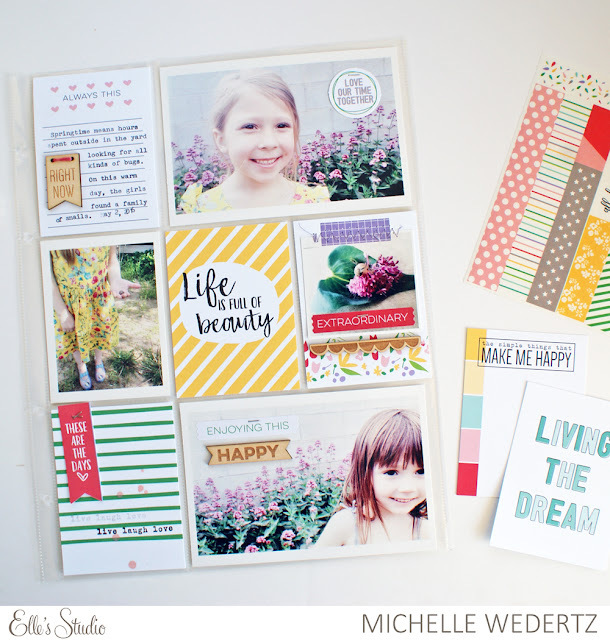 My heart zeroed right on the fun floral 6x4 card included in the April Kit and made a layout with it right away! Springtime at my house is all about the daffodils, tulips (mine are red like the ones on the card! ), and bugs, so it was no surprise I turned to a fun story about my snail sitting duties :). 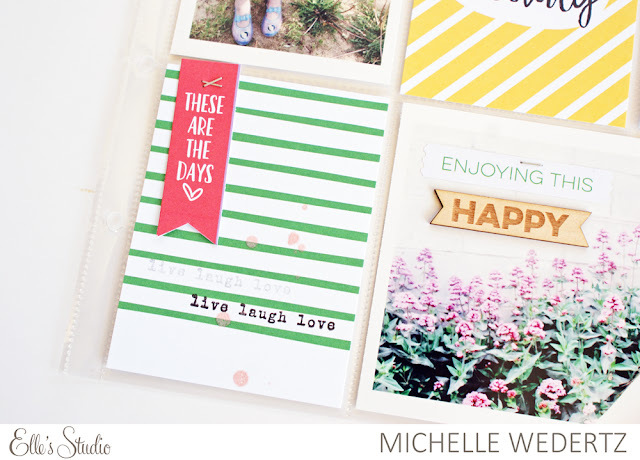 This month I also pulled a few pieces from the new Live Laugh Love collection such as the fun washi strips and wood veneer. 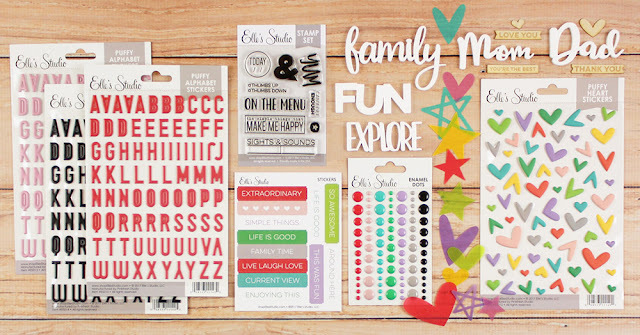 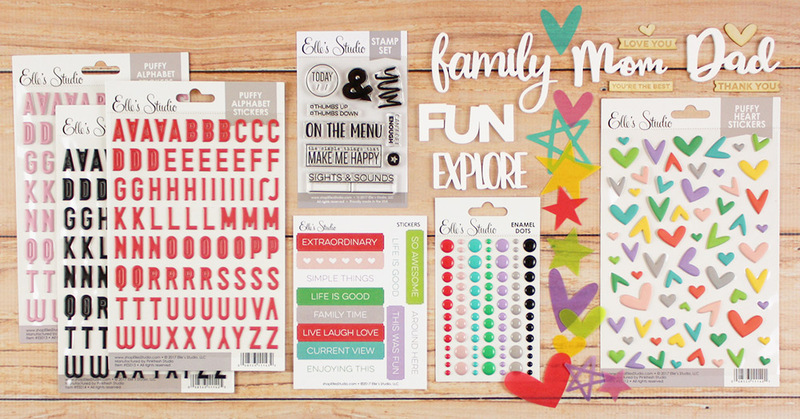 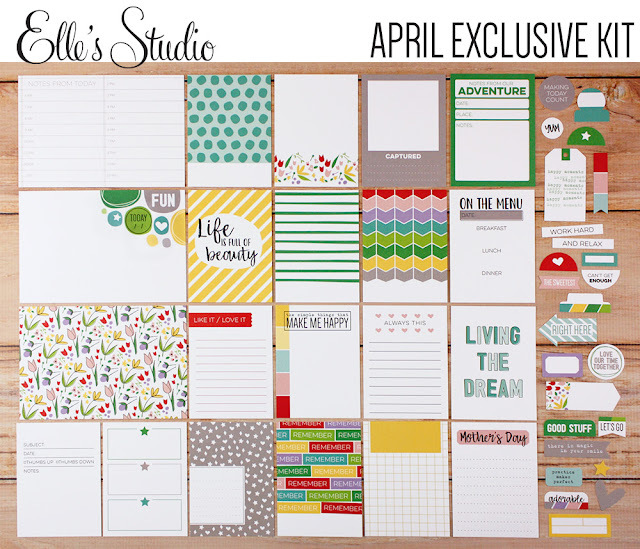 To see even more examples of this month's kit in action, make sure and hop on over to the Elle's Studio Blog!